Donor-advised funds are charitable vehicles in which a donor contributes cash or assets to create a fund. The donor makes recommendations to the Initiative Foundation about how the funds will be used. Some donor-advised funds will be fully expended during the donor's lifetime; others will be a permanent legacy, benefiting the community into the future. Donor-advised funds are flexible and convenient, allowing donors to support a variety of charitable causes through their fund anytime they choose. These funds offer a simple, powerful and highly personal approach to giving. Why do donors establish donor-advised funds? Generosity: The most important reason donors establish advised funds is they are generous and committed people with a passion for their causes and communities. A focus on community: People who establish donor-advised funds gain access to the Initiative Foundation's knowledge and experience with a range of local charitable organizations. Through events, newsletters and site visits, donors can learn about effective charities and programs they may not have discovered on their own. Initiative Foundation staff can also help donors and their families establish their philanthropic goals and devise giving strategies. Legacy: Donor-advised funds can be set up as permanent funds, preserving the donor's legacy long after the donor has passed away. 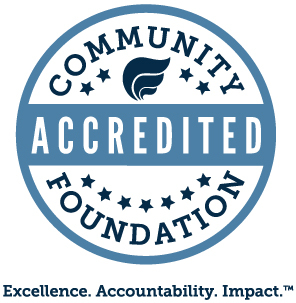 Accountability: The Initiative Foundation is overseen by a board of trustees that reflects the region-wide population. With the board's guidance, the Foundation conducts annual audits and Form 990s, making key financial information available. Personal: You recommend grants to your favorite charities. Efficient: You benefit from the most advantageous tax treatment for a charitable gift, and the Initiative Foundation handles the administrative details. You can access information about your fund anytime online through the Foundation's Turn Key Fund Portal, and you will receive quarterly statements that show all activity in your fund. Flexible: Add to the fund at any time. The Initiative Foundation can accept donations of almost any asset including cash, stock and real estate. Family friendly: Your entire family can be involved with charitable giving, and you have the ability to designate successor advisers to your fund. A Donor-advised fund can be established in any amount. The ability to combine funds into professionally managed portfolios allows greater diversification of investments and access to investment vehicles that would not be possible for individual funds. Each fund is charged a fee for administrative and investment services facilitated by the Initiative Foundation. Investment management fees are dependent on the investment portfolio selected. Administrative fees are based on asset size and fund type. Discuss a donor-advised fund with us. We will customize a fund agreement for you.